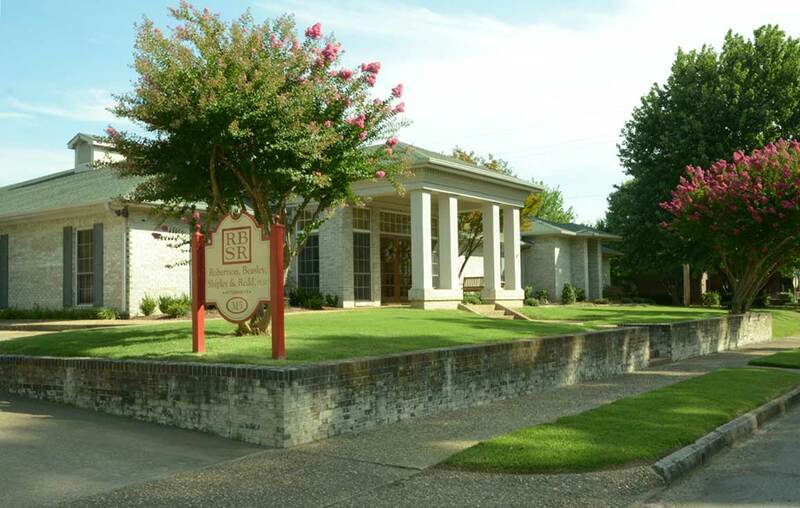 For more than a century, the law firm of Robertson, Beasley, Shipley & Robinson, PLLC has served clients in Arkansas and Oklahoma. With origins of the firm dating back to 1893, its current attorneys carry forward one of the oldest, continuous law practices in the region. RBS&R represents individuals, small businesses, and large corporations on a wide variety of legal matters. In addition to providing civil advocacy in state and federal courts, the firm’s attorneys advise and counsel clients on contract, corporate, commercial, and tax matters. They work closely with business clients on all types of labor and employment law issues. They also help individuals and business owners in estate planning and trust and probate administration, and provide assistance in family law matters, real estate, and bankruptcy. Building and maintaining productive, long-term client relationships has been a hallmark of the firm. Several national insurers became clients of the firm during the 1920s, and have remained thus for a period of more than 90 years. Robertson, Beasley, Shipley & Robinson legal professionals and staff use their experience and knowledge to help clients find effective solutions to their legal problems. The firm has successfully handled thousands of legal matters, in a broad variety of areas. Its attorneys and staff are dedicated to providing all clients with the personal attention and the respect that they deserve. Website Development and Hosting by Jamell Digital, Inc.